Since I have started using it like this, I have had zero problems. I am wondering if these batteries are subject to the well known "rechargeable battery memory problem" that we all know and love. (For those who are unfamiliar, Google it!) At the same time, I am now wondering if the original cause of the issue is because sometimes only 1 of the batteries in the pack are charging. If so, it would make sense that the induction charger would not attempt to charge it any further because the battery pack is reporting that it is charged. For anyone continuing to have problems with this system and who would like to do some troubleshooting on their own. I would like to challenge you to try something that came to mind while thinking about this problem. 1. Remove the battery pack from the Wii Remote that seems to have an issue. 2. Test the power/charge of each battery individually to see if one of them has a full charge, and if the other has no charge. 3. If only one of them has a charge, take note as to which one it is. 5. Connect the small light bulb or LED to the known working battery with two wires to see if it will light up. 6. If the light bulb turns on, leave it connected (tape it up if you have to) for a little while (5-10mins) to drain some of the power from the known working battery. 7. 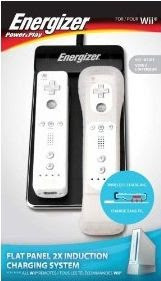 Remove the light bulb and wire setup after said time has passed and insert the battery pack back into a Wii remote. 8. Reset the induction charger by unplugging it from the wall, wait 10 seconds, then plug it back in. 9. Place the Wii remote back onto the induction charger to see if it charges longer than 5 minutes without the flashing red light. 10. Post on this blog whether it worked or not. By draining some of the power from the battery(s) by connecting a light bulb for a short while may reset the battery pack and allow the induction charger to reinitialize the charging process. I have ran into similar problems with rechargeable batteries that had not been fully discharged before charging them back up. At the same time, if I experience the same flashing red lights as before, this process will be my next method of troubleshooting and I myself will post my results here as well. I hope this works for someone and please keep me posted on your results. I did exactlly as you described in your last trouble shooting tips and with this one as well with a little twist. I have the 2 port charging system and both battery packs read about the same votage. The one battery read 1.05 volts and the other battery read about .4 to .6 volts. What I did was changing the battery packs out with different wii remotes and attemping recharging again. No sucess. I then drainned the 2 1.05 volt batteries using a 2.2 volt light bulb from a flash light that took 2 AA batteries. The light lasted about 30 sec till it was dead. I tested the volts to be about .004 volts. I am now charging one remote in the induction charger and separated the batteries on the other battery pack and chaging the batteries in a energizer nh charger. Lets see if that works. I just checked the induction charger and it is flashing red. So now it is up to the other charger to charge these batteries up. Just to give a heads up on all of this, these battery packs were working just fine for me for several months. I stop playing for a while and got back into the horse again. I get no lights on the remote controler at all on both battery packs. So I am guessing all of the voltage is gone on all of the batteries. I will get back on here later and give out the details on if this way works or not! I'm having this same problem today, I've had my two Wii remotes hooked up since about 10 this morning and have been taking them off and putting them back on the pad every time I see the flashing red lights. I finally tried to just see if they would turn (I didn't suspect a problem) and they wouldn't even turn on. I don't have access to the utensils you do to test them so I'm a little upset about this. Right now I have them on the charger and they seem to be charging fine but pressing their buttons causes no lights to flash on (the blue ones at the bottom of the controller). I'm frustrated and they have seem to be charging but the flash the red lights out of nowhere. I just had my PS3 fry on me yesterday after 3 years, my 360 RROD'd before that and now, my Wii doesn't even have controllers! Ugh! I'm going to bookmark your blog in hope's of response as this seems to be the only place I found actually replies on the subject after Googling it. Please help me if you can. I had the flashing red light problem after taking my Wiimotes off the charger while I was on holidays for two weeks. When I got back, both motes would not charge. I figured that it couldn't be a faulty battery or unit as both motes failed at exactly the same time and in the same way. I ended up taking the battery packs out of the motes, unscrewing the two screws in the pack and taking out the batteries. They were just two unlabelled AAA sized batteries which I then put in another recharger (a Duracell one ;) I charged both batteries and placed them back in the unit (screwing the case back on was a pain - take your time) and put them back on the induction plate. Everything went back to working the way it was. Thanks for posting all this info. It's very helpful. Energizer should link to your site for troubleshooting. Yes the process you layedout works!!! one battery had no charge and one was fully charged. I connected a LED as you suggested and let it drain for only a minute or two, Reset the induction charger by unplugging it from the wall, wait 10 seconds, then plug it back in, and Place the Wii remote back onto the induction charger to see if it charges longer than 5 minutes without the flashing red light. Hi all i just got 1 of the energizer flat panel chargers. After the first charge up of the batteries all was fine after using the remotes i put them back on the panel and found the red lighs for both flashing slowly, i have also read other forums on this problem and found 1 which said if you have the charger on a metal surface it affects the charger. 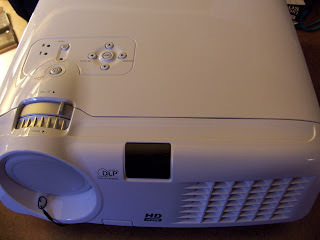 I had mine on top of a DVD player (metal) after reading this other forum I moved the panel onto a wood surface which has so far fixed the problem and I was ready to take it back as a faulty unit. X2 on the store bought replacement batteries. The green batteries I removed had problems, 7 out of 8 were leaking at the positive end, I also had to clean the contacts in the battery holder with alcohol on a Q-tip. Why would Energizer use cheap, generic batteries on a product with the Energizer brand name on it. Anyway, I debated getting batteries from radioshack but in the end just got a couple packs of, you guessed it, Energizer brand NiMH aaa batteries. I bought both chargers for Christmas and was disappointed that they only lasted 3 months. So I know its been quiet for a few months, but I just thought I'd add that replacing the green, unlabeled AAAs in the battery packs with store-bought ones worked for me also. I used Duracell NiMH's, the precharged ones in a greenish package. Sometimes the charger gets fussy with it, but if I set the wiimote on the charger while it is unpluged, and then plug it in, it will charge them. I was having the same problem with one of my packs, and I just opened the battery pack as some indicated (the sticker covers one of the screws), and noticed a little black stuff on the contacts. Swabbed with alcohol, put it back together and seems to be charging fine now. Thanks, I did exactly what you said and it works now! I am having the same problem with both of my battery packs. I looked at the battery packs and couldn't find any screws so then I took the stickers off and I still couldn't find screws anywhere. I don't know if it makes a difference of what colour the charger is but, I have a black one because I have a black wii/remotes.